It has been more than 30 years since my introduction to the world of long-distance hiking. 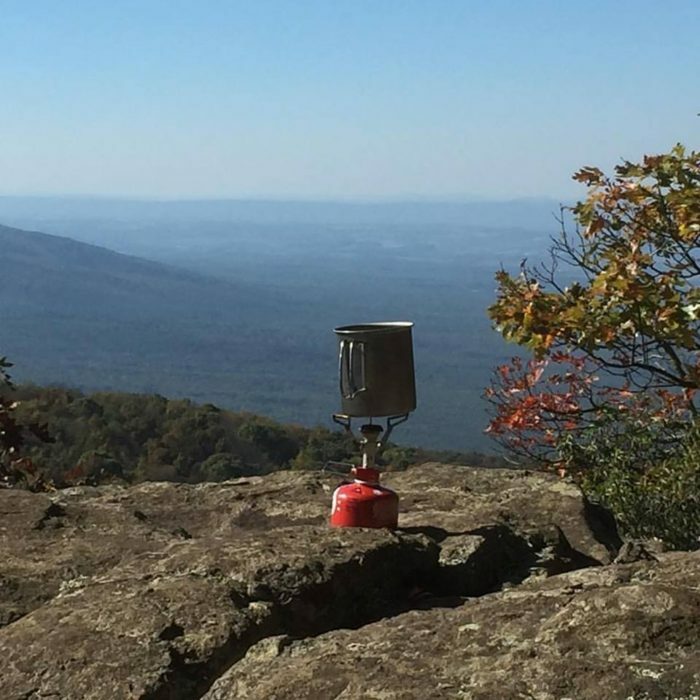 My first wide-eyed adventures on the Appalachian Trail as a young man left me amazed at the existence of such an extraordinary footpath winding its way through the mountains, valleys, and towns of fourteen states. I was hooked, and over the next decade spent as much time as I could on the trail, squeezing in overnights and two- to three-day trips over long weekends and, when possible, using all of my vacation time to plan multiweek trips. I was also able to spend some time hiking trails in the Pacific Northwest, completing the West Highland Way in Scotland, and hiking and hitchhiking my way along portions of les sentiers de grande randonnée, the network of long-distance footpaths in France. It was during this halcyon period of hiking activity that the dream of doing a thru-hike of the Appalachian Trail began to take root. But then, as so often happens, life intervened: graduate school, a marriage, a divorce, a career, a mortgage. Before I knew it, two decades had passed without me getting out on the trail except for the occasional day hike. 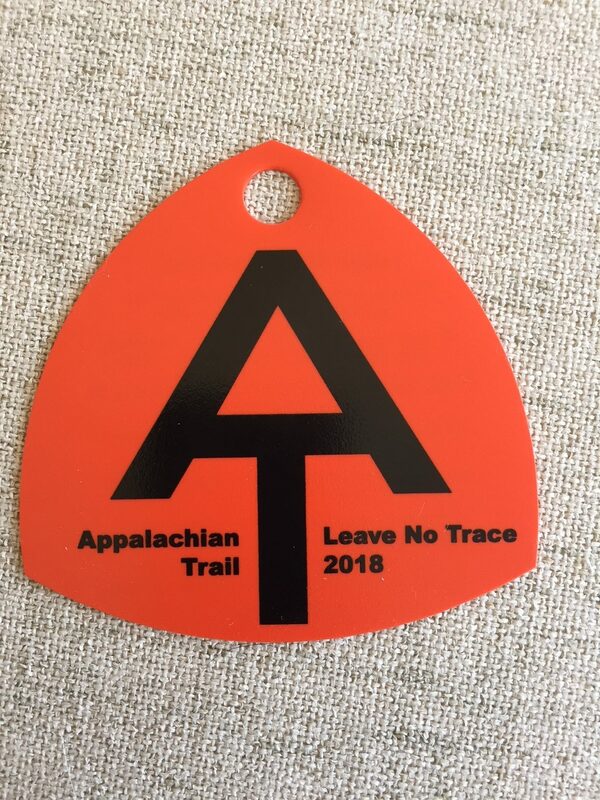 Happily, I am now in a position to realize my long-deferred dream and will be leaving in just a few short weeks for a flip-flop hike of the Appalachian Trail. As I began preparing for this hike, I was somewhat surprised to find myself in unfamiliar territory. The trail itself remained largely the same (apart from some rerouting and resulting tweaks to the overall distance). But improvements in gear, advances in technology of all types, the general explosion of the trail’s popularity, and a broader awareness of the trail among the general population have combined to make the experience of hiking the AT in 2018 much different than that of the 1980s. I thought it might be interesting (and perhaps entertaining) to jot down a few of my thoughts about some of these changes. Gear has changed to such a degree that I basically find myself reduced to the status of a novice hiker once again. I began hiking in the era of external frame packs and now they are harder to find than a stretch of level terrain on the AT. I still have fond memories of my Camp Trails Omega external frame pack, both a beauty and a beast of a pack that weighed almost eight pounds empty, had no less than six external pockets, a capacity of 5,700 cubic inches (or more than 93 liters) and into which I could cram nearly two weeks worth of food and supplies. Now, older and wiser, I will be using a Granite Gear Crown 2 internal frame pack for my thru-hike, weighing in at a little over two pounds and with a 60-liter capacity. I’m sure my 50-year-old knees and feet will be much happier for the change even if I do sometimes experience a bit of nostalgia for that long-lost period when external frame packs roamed the earth. Granite Gear Crown 2: The pack that makes it possible. Speaking of knees and feet, another major change in my current gear setup is that I now use trekking poles. To be honest, I’m not sure if trekking poles were even part of the hiking scene back in the mid-1980s, but if so, they were certainly not on my radar. 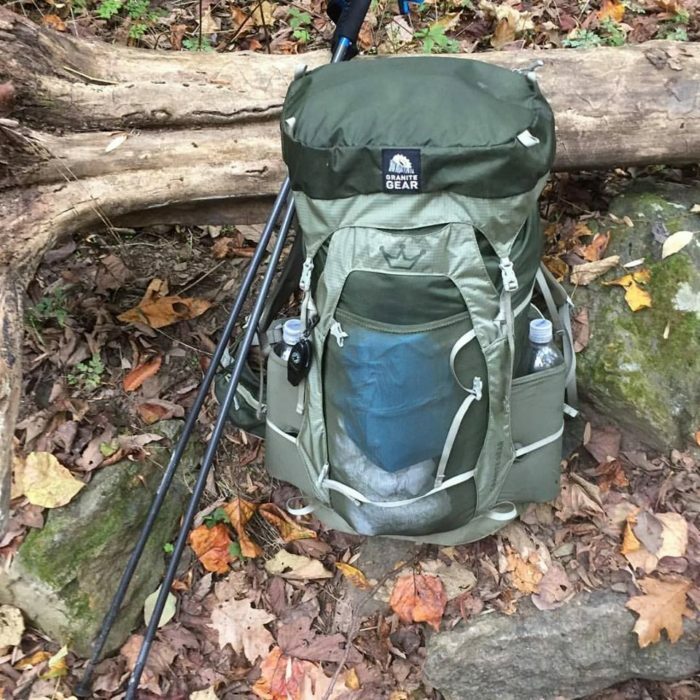 I am using Black Diamond Distance Z poles for my thru-hike and love them. They take the pressure off the knees on the downhills, provide a great assist on the uphills, and help with stability on rocky and technical trails and stream crossings. I have no doubt that I am a much stronger hiker (and less prone to injury) when using trekking poles. Footwear has changed enormously as well. When I first started researching gear last year, I started coming across references to these mysterious things known as trail runners and had absolutely no idea what they were. I believe the first pair of boots I took on the trail back in the 1980s were a massive pair of Red Wings intended for use on construction sites. These were true monsters (and I still remember the awe-inspiring blisters they produced) but back then I really don’t recall any serious discussions about footwear options other than the full leather, heavy-duty boots, nor do I remember seeing people on the trail sporting lighter options, such as mids, trail runners or (gasp!) sandals. For my coming thru-hike, I tested a variety of footwear options, including several trail runners, and in the end decided to start out with a pair of Merrill Moab 2 Ventilators low hiking shoes. Another questionable decision from my early hiking days was that I rarely carried a tent. When possible, I planned my hikes from shelter to shelter. If shelters were unavailable I usually relied on a simple bag, bivy, and tarp setup. I also never carried a sleeping pad of any sort, something that resulted in quite a number of cold and uncomfortable nights. On my coming thru-hike, however, I will be luxuriating in my REI Quarter Dome 1 atop my REI Co-op Flash Insulated Air Sleeping Pad. There have been countless changes and innovations to my gear beyond the big three that are worthy of at least a quick note. Back then, I used a solid fuel stove (that was quite heavy). Today I am using the awesome MSR Pocket Rocket 2. Back then, I relied solely on iodine tablets for my water purification, even on my longer hikes. Today, I am starting my thru hike with the Katadyn BeFree filter. Back then, I carried an actual full size garden trowel to dig the holes that needed to be dug. Today I use the amazing Deuce of Spades. The dehydrated meal options nowadays are greatly improved and finally, my first hikes were done long before puffy jackets and Darn Tough socks took the hiking world by storm. MSR Pocket Rocket 2: Best lunch spot ever. There is no question that gear (and my personal gear choices) have improved significantly in the three decades since I first set foot on the Appalachian Trail. The most dramatic changes to the trail experience, however, have taken place in the realms of technology and communication, with the most obvious example of this being the smartphone. Want to know about the weather? No need to try to read the skies, just check the weather app. Want to see how many miles until the next water source or the next shelter? Or know the name of that mountain peak off to the east? No need to pull out your map and heavy guidebook, just check the app. Have a change of plans and need to get picked up early? No need to hitchhike into town, get change, and look for a pay phone. Just make the call while you are on the trail. Need to arrange for a shuttle or a hostel stay? Call from the trail. Have an unexpected resupply requirement that can’t be met locally? No need to wait until you get into town and lose valuable time. Just call or email an outfitter while on the trail and make arrangements from a mountaintop. Want to journal? No need for a pen and paper, use a writing app. Want to read? No need to lug along an unwieldy paperback or two, use a book or audiobook app. Want to listen to music? 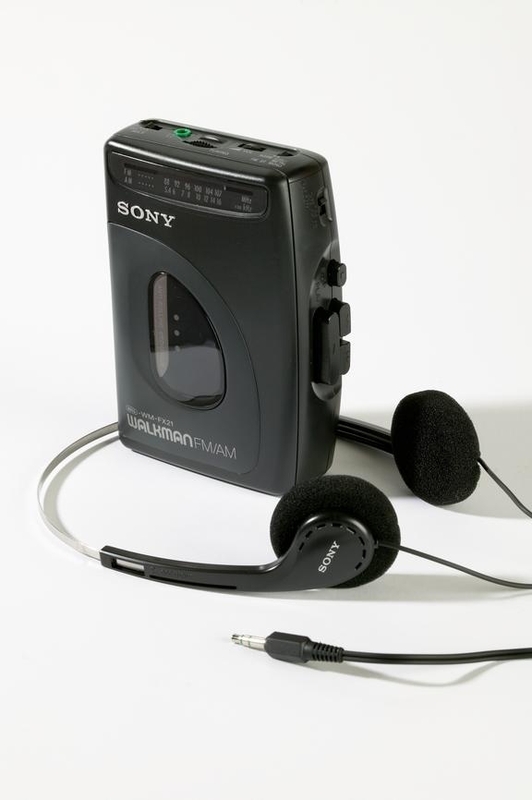 No need to deal with the bulk and weight of a Sony Walkman (yes, I am that old), just download the songs to your phone. Want to take pictures? Use your phone. Want to take videos? Use your phone. It is amazing to sit back and think through just how many capabilities the smartphone brings to the trail and to the overall hiking experience. I know this is a point of debate but, in my opinion, this is all good and has been a positive development (at least 99% of the time.) Reliance on this technology is not without its pitfalls and risks, of course, and people should always ensure they have the necessary set of skills, paper maps, guides, etc., and a well-conceived plan ‘B’ that will see them safely through in the event their phone fails them. Technology from a bygone era. One additional significant change in the past 30 years has been the enormous growth in the popularity of the trail and the positive and negative impacts this has had on the hiking experience, on the trail culture, on the trail towns and trailside communities and, of course, on the physical trail itself. But this is a topic worthy of its own dedicated post so I will save it for another time. Gearing up for my 2018 Appalachian Trail thru-hike has been an eye-opening voyage of discovery. I look forward to getting reacquainted with the trail, with the challenges it represents, and with the people who, for whatever time is available to them, choose to call it home. A great article & the way it flowed gave evidence to you being a writer. Best of luck on your 2018 AT , you’ll love it .